The screening of 24 Portraits by Alain Cavalier is part of A table made again for the first time, a three-day event organised by Bureau des Réalités with Juan de la Cosa /John of the Thing. For Bureau des Réalités, Juan de la Cosa/John of the Thing present A table made again for the first time, a project structured around three events focusing on the idea of translation, both on the written page and in the exhibition space. From its canonical definition as a journey from one language to another to its metaphorical reading as a link between mediums, all the way to its sociological interpretation as a lens capable of displaying the hidden mechanisms of a culture, translation seems to be in a moment of some fervour. As such, and through the work of the invited artists and writers, A table made again for the first time aims at opening a space for further discussion on and around the topics of what a translation could be and might do. Programme Etablissement d’en face, Juan de la Cosa/John of the Thing and Bureau des Réalités screen and discuss a selection of Alain Cavalier’s short documentaries 24 Portraits (1987/1991). A series of sketches about handwork trades and vernacular traditions, the portraits examine women’s labour, focusing in particular on rare and disappearing crafts and traditions on the brink of being forgotten. 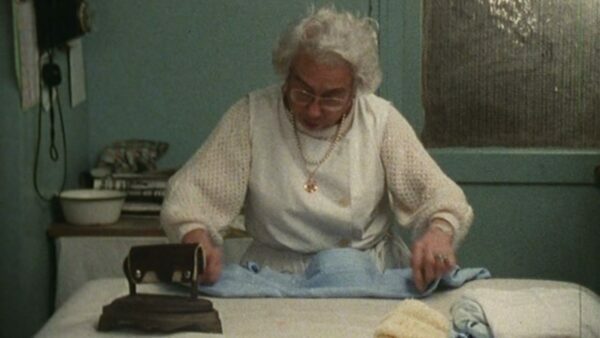 Via the documentary medium, Cavalier observes the tools, the hands and the environment of those women asking questions while minutely and delicately observing their work, somehow proposing an odd balance between manual labor, speech and image making.